IMFL and Desi Daru: How different are they? क्या दारु और IMFL (व्हिस्की, रम, वोडका ) में कोई अंतर है ? Our lead story in the current issue shows how the vast majority of IMFL spirits are very different from the authentic ones. In short, they are mostly made of molasses, not grains, not aged and only an approximation of the original, achieved by adding artificial flavors and coloring, such as caramel. Country liquor and the IMFL are just not any different from . The difference largely has to do with flavors, which begins only once blenders take over the alcohol. 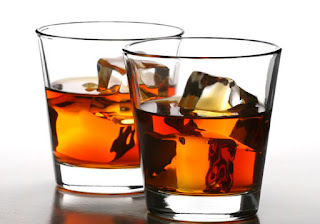 The conclusion is obvious: IMFL and country liquor goes through the same manufacturing process and is distilled from the same agricultural source (molasses). The differences are in strength (the percentage of alcohol) and flavors. Add whiskey or brandy flavors, for instance, and it becomes IMFL. Take the flavor to a tangier side, it’s desi-daru. Read full story here: How Different Is Your IMFL From Desi Daaru?